Don’t laugh! It’s completely possible to save money in Las Vegas. Take it from a casino insider! (I worked as a VIP host at a casino for 3 years) If you know anything about me through my musings, you know that I’m a frugal person. I don’t like the word cheap. It makes me feel so pre-transformation Pretty Woman. Nothing against all of you hookers out there. I’m sure there are a couple here or there who might be reading this. Way to be an opportunist! You go girl! Anyhow, after my most recent trip to Las Vegas for the Affiliate Summit I was feeling ecstatic. I had just networked my heinie off, was admittedly a little burned out on the Vegas scene, and was beyond excited to sleep in my own bed. The universe, of course, had other ideas in mind. Smoke started billowing from my engine and immediate sadness set in. Eventually, I would learn that my car needed a new head gasket or something of the sort and there was no way I could afford to fix it. 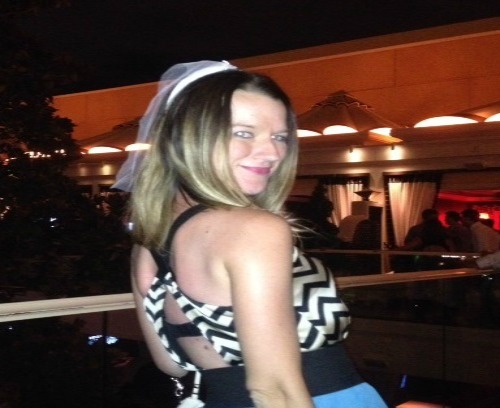 I left my car in Vegas, stayed with friends a couple of nights, and rented a car to get home. On that note I have to give a shout out to the Auto Specialist and Parts House in Nevada for taking such good care of me and providing AMAZING customer service when my car kicked the bucket. Ask for the manager Lee! In the meantime, I decided I would explore a few things on the cheap and let you know of my findings! 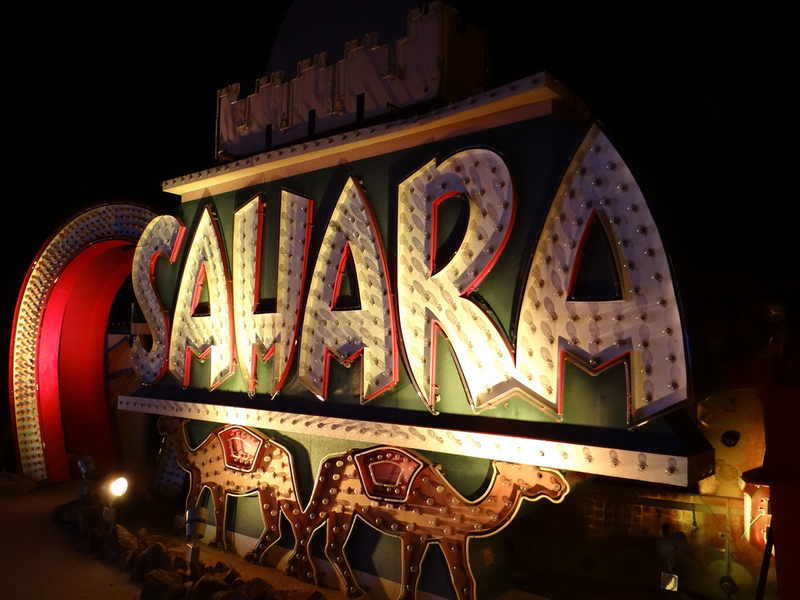 Another thing to do is discover the Neon Museum, where in essence, flashy Vegas signs go to die. Word has it though that it is a photographer’s dream! Take note: You do have to schedule a tour for this so don’t be trying to fly by the seat of your pants and just drop-in. You’ll get nowhere! The cost of a daytime tour is $18. Look at this site for more details: http://www.neonmuseum.org/tour-info. Another museum that might be cool to attend? the Mob Museum! It is $20: http://themobmuseum.org/plan-your-visit/tickets/. 2. 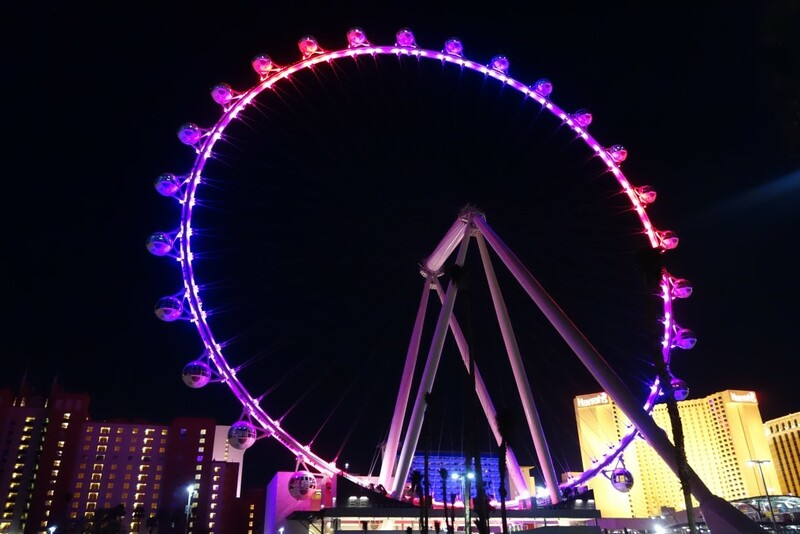 SAVE MONEY IN LAS VEGAS BY GETTING OFF THE STRIP! Contrary to what you might think, there is actually more to do in Vegas than sip libations on the strip. You can also get drunk OFF the strip! All jokes aside, there really are some fascinating things you can do off the strip that don’t cost a fortune. For instance, by driving just 30 minutes west you can scope out the sandstone cliffs and hiking trails of Red Rock Canyon. Check out redrockcanyonlv.org for details. Drive an hour northeast to discover the ancient petroglyphs and unique rock formations of Valley of Fire state park. parks.nv.gov/vf.htm. And let’s not forget about Lake Mead! It’s only $24 to take a midday cruise of the oasis in the middle of the desert. See lakemeadcruises.com for more info.! Sometimes paying for a hotel in Las Vegas is excruciatingly painful because you don’t end up spending much time sleeping, let alone in the room. My advice? Go on Priceline.com and bid for the area of Las Vegas you’d like to stay with the Express Deals feature. Last time I ended up staying at the Extended Stay America on a weekend for $50 a night, which is hard to beat in Vegas unless you are staying miles from the center of the strip at Circus Circus or the Luxor. Bonus: it included a bed and separate fold out couch in case you have an extra friend. PRO TIP: If you can help it, try to go to Las Vegas during the week when prices are $100-$200 cheaper. Cheaper times to travel include July, August, and December (with the exception of New Years) because the weather isn’t ideal. Okay folks, this one is not for the faint of heart or those who like to blend in with the crowd. It also might test out your acting chops! If you are feeling extra daring, grab yourself a wedding dress and perhaps a top hat and tuxedo shirt for your groom. Then watch the free drinks flow faster than you can say tequila! Sure you might be lying a tad, but it’s all in good fun. You can always admit the truth afterward and hope they don’t mind or brace yourself for retaliation. If you’re a gambling fool, but prefer the penny slots over the $1 machines like me, then sign up for every club card possible. Often times you can get free slot or table play when you sign up and it’s a really quick easy process. See!? There are cheaper ways to play in Vegas! And you didn’t believe me. Pffff! PRO TIP: You can get more free play on the old, not so fancy side of Vegas. Think Fremont St. or any of the surrounding area. Did I mention that side of town is cheaper overall for food, drinks, and accommodations? Well, it is! When you are traveling, eating out tends to eat up a lot of your expenditure that could otherwise be spent on something better, like entertainment! Along with sleeping in a cheaper hotel, my best advice for saving money in this category is to buy your food and liquor off the strip and stash it in your hotel room. For example, for breakfast you could easily grab a packet of oatmeal and use the warm water in the hotel to make it. Little to go fruit packs such as pre-packaged tangerines are great because they are cheap and satiate your thirst in heat. PRO TIP: If you have ever been to Las Vegas AT ALL, you should be aware that by sitting at the slot machines, you are offered free drinks. Take advantage of this! 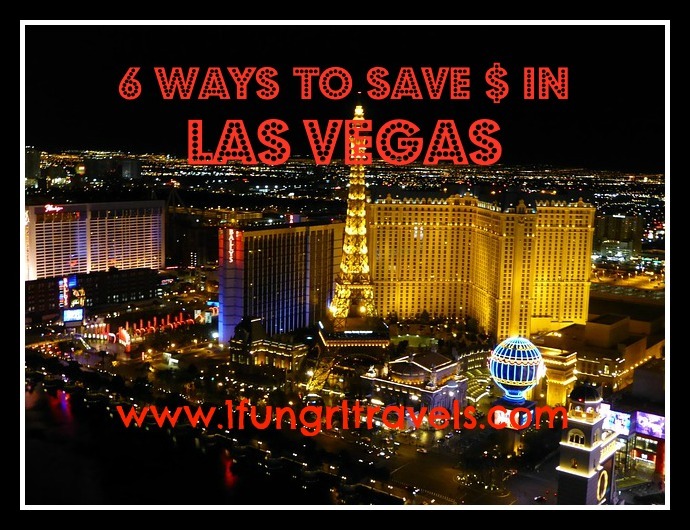 Is there anything you would add to this list in order to save money in Las Vegas? Let me know! I love feedback! Michael Huxley recently posted…Independent Travel Or Guided Tours On Your Gap Year? Which Is Best? I haven’t been to Vegas but I hope to one day, and I’m sure this list will come in handy! I’m not a big gambler but I want to see everything else Vegas has to offer, so I’m glad to hear there are a lot of interesting options that aren’t going to break the bank! 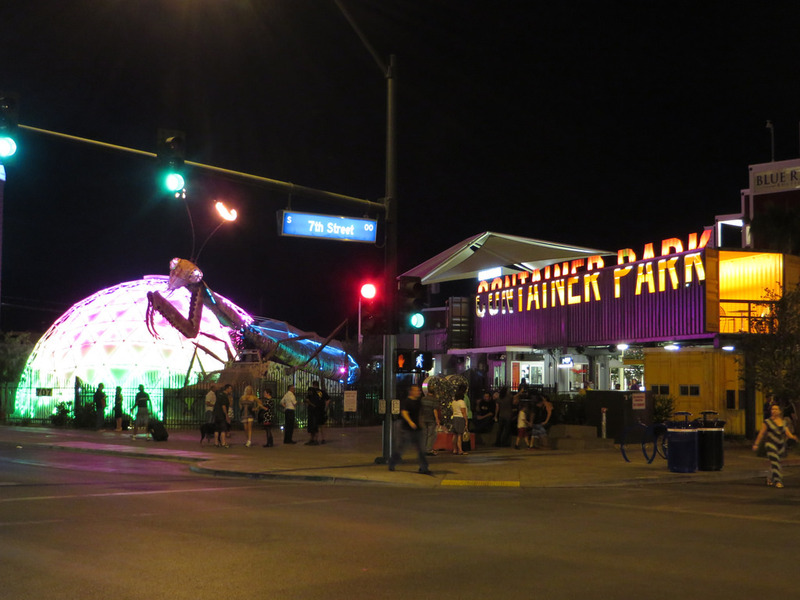 I’d love to visit that Neon Museum! I can just imagine how beautiful those photos would be! And of course, you can’t ignore the outdoor activities just outside of tourist central! 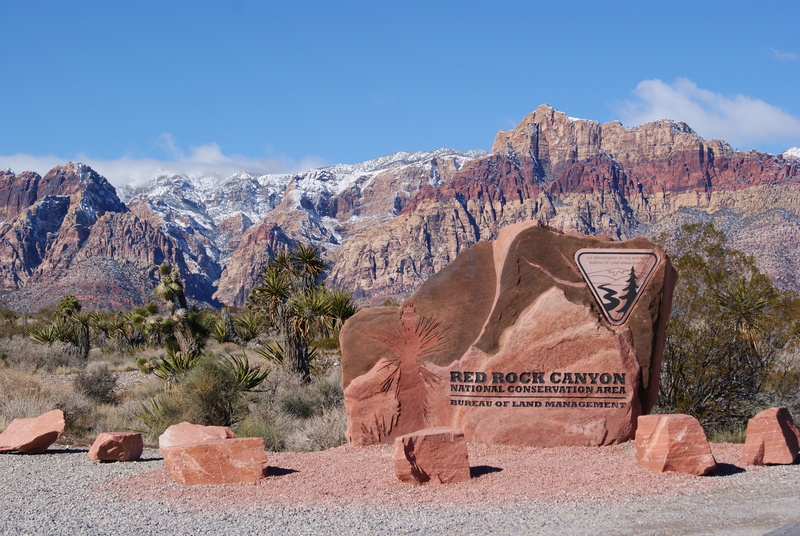 Very useful tips and great to know about Red Rock Canyon! IF we are ever back in this part of the world – which I know we will in the next few years- will be sure to go hiking here! I was surprised on our last Vegas trip how expensive everything had gotten. Las Vegas used to be a great budget vacation because you could get a good hotel room and great food inexpensively. They just wanted to get you out there to gamble. We ended up going off the strip quite a bit. A trip to the Valley of Fire was a nice change of pace from the hectic Strip, and we found some off-the-strip casinos that were fun and less crowded.